It does require some energy and commitment like anything worthwhile, but I find it’s incredibly empowering not relying on a supermarket chain like the two majors we have in Australia to feed my family. I’m not just growing organically – without chemicals – I am using nature to produce nutrient dense, delicious, energy giving food to the ones I love. It’s packed with vitamins and minerals, lasts longer, leaves conventionally grown produce for dead in terms of flavour and is a banquet of colour on the plate. 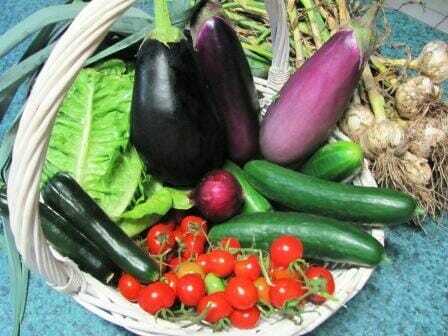 All the produce in this basket was grown in just a few square metres using organic principles. 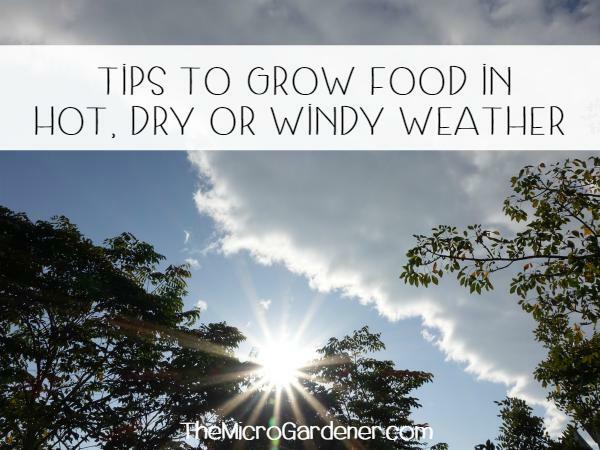 Once you get your soil right and some basic management systems in place for planting, watering, fertilising and maintenance, it becomes an addictive passion to grow your own food. Don’t get me wrong – we don’t just focus on food. Our garden is filled with colour, fragrance, natives and trees for a diverse sensory experience and to maintain balance. Whilst our fragrant gardenias and mock orange smell beautiful, I can’t eat them! 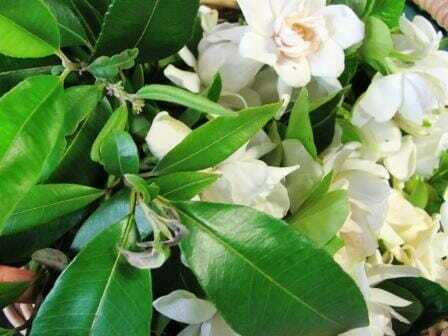 Growing flowers and foliage like the gardenias and lemon myrtle saves money on buying from the florist. They have an intoxicating fragrance that permeates the whole house. The lemon myrtle leaves are also used for healing herb teas and cooking. I choose to input most of my energy where the output has the greatest potential and at our place, that’s our edible kitchen garden and herb pharmacy. My first stop is my ‘backyard chemist’ when we have a bruise, cut or burn – I reach for comfrey or aloe vera, or a sore throat we make a lemon myrtle tea. A suitable herbal tea is the remedy for many common ailments and nurturing life-giving homegrown food is put on our table. We rarely get sick and when one of us is feeling below par, including our pets, I reach for our herb bible to see what plants I can use from the garden to support and restore our health. Many people’s grandparents lived this way – and for good reason. They often didn’t have transport, money or access to modern medicine and needed to be self-reliant! 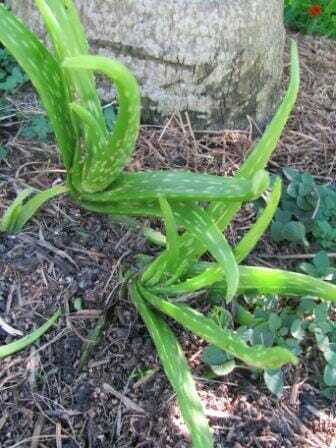 Plants like aloe vera (pictured) and comfrey are great healers and have many other useful qualities. The money that can be saved by avoiding expensive medical bills is one reason alone to grow your own food, but if that’s still not convincing, then consider another 20 Reasons to go Organic. It doesn’t get better than this … when it’s lunch or dinner time I can walk out my back door and pick the main ingredients for our meal. 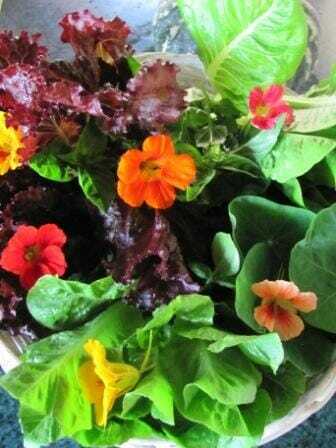 A rainbow of colour: The menu is created at the same time based on whatever needs harvesting. 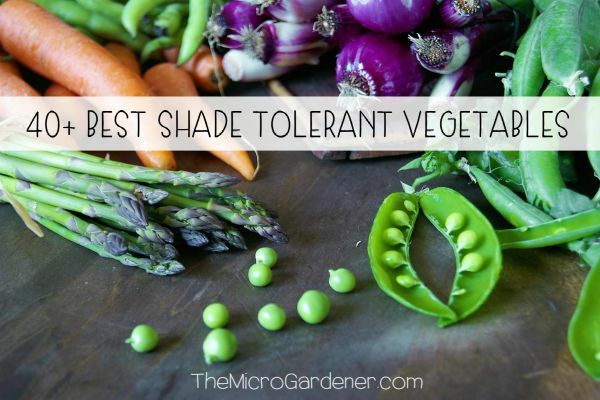 When I go walk about with my basket, knife and scissors, I start thinking about fresh food combinations – as the weather’s warm, we are eating a lot of salads but I’m getting creative with some of the veggies we have and adding them too. 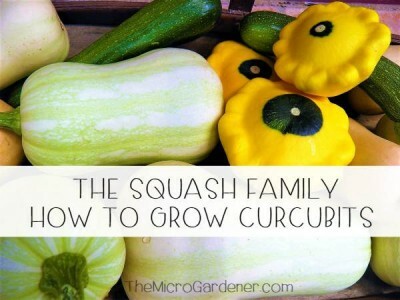 Starchy foods like potatoes and sweet potatoes and tummy filling pumpkins are staples any family can grow with some creative design skills such as vertical gardening. Potatoes are such an easy crop to grow – even in a portable grow bag which suits many renters. 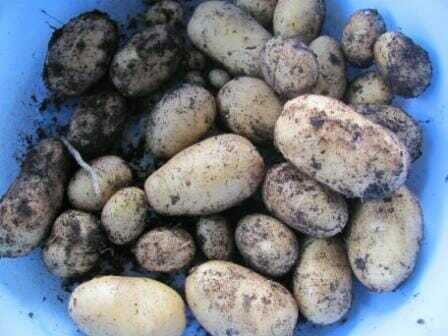 I grew these wonderful Dutch Cream potatoes in a container – they are delicious tummy filling food. 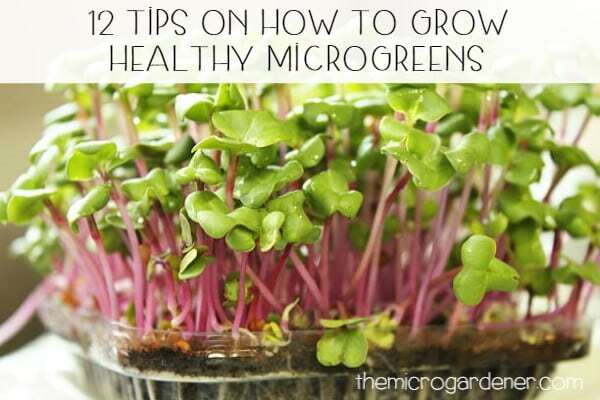 At the moment, there’s an abundance of salad greens including a variety of non-hearting lettuces, cherry tomatoes, cucumbers, capsicums, avocado, all sorts of herbs, lemony sorrel, rocket, red onions, nasturtiums, shallots/spring onions, beetroot, zucchinis, sweet potato, garlic, leeks, pumpkins and eggplant. 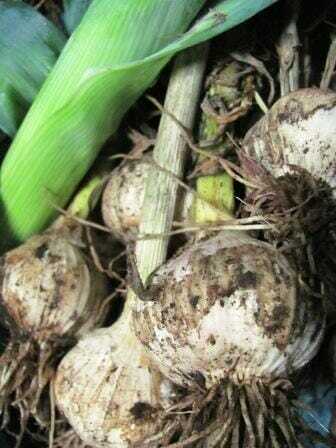 Try growing some plants from the Allium family that add flavour like onions, leeks, shallots, garlic or common chives or spring onions. They don’t take up much personal space and provide great value in your kitchen. By the time I walk back into the kitchen I usually have an idea what to put on the plate. Eating this way is SO much easier and satisfying than thinking up what to cook and then getting in the car (using expensive fuel and clocking up food miles). The garden is bursting with inspiring menu ideas and food right now – more than our family of three can consume so some of it will end up over the fence at the neighbours and shared with friends. A neighbour dropped around yesterday with two jars of relish she made from our green tomatoes and in return, went home with a bag of zucchinis, eggplant and chillis. Swapping and sharing produce is one of the joys of gardening. 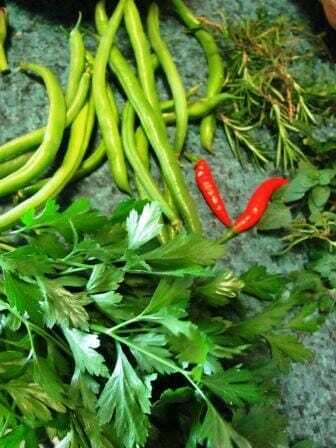 Fresh herb harvest of parsley, rosemary, oregano, chillis and green bush beans. ‘Urban farming’ might be a new thought to you or you might already be intensively cropping in containers or a backyard plot. Whatever stage you are at, I urge you to keep at it. It doesn’t require complicated or mysterious knowledge – just some basic commonsense and a little time input from you! 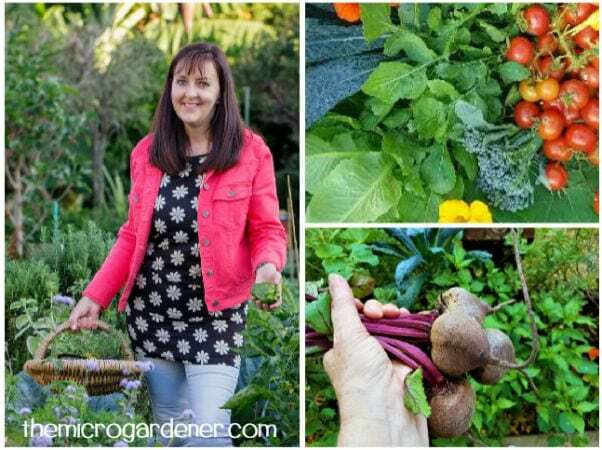 This video goes through five simple steps to start a vegetable garden – follow the 5 S’s of site design: sun, soil, size, site, and selection. 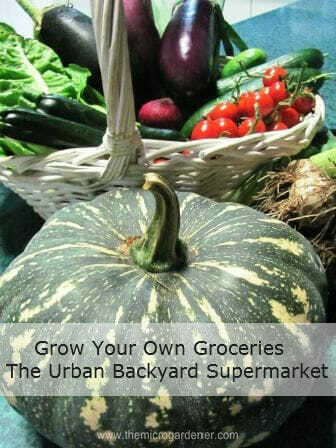 You’ll also find some helpful tutorials for growing food fast in an Instant Veggie Garden in a Box Part 1 and Part 2.